WASHINGTON — Alaskan Joe Balash, nominated to a top position at the Interior Department, pledged to work on speeding permits and allowing drilling and mining on some federal lands at his U.S. Senate confirmation hearing Thursday. Balash was chief of staff for Sen. Dan Sullivan, R-Alaska, and is nominated to be assistant secretary for land and minerals management. If confirmed, he would oversee the Bureau of Land Management, Bureau of Ocean Energy Management, Bureau of Safety and Environmental Enforcement and the Office of Surface Mining Reclamation and Enforcement. Balash's confirmation did not appear to be headed for any hiccups at the Energy and Natural Resources Committee hearing Thursday. The committee is chaired by Sen. Lisa Murkowski, R-Alaska. She spoke highly of Balash at the hearing and suggested he would have no trouble clearing his committee, given his state of origin. Balash, for his part, spoke of speeding permitting at the backlogged agency and allowing more drilling and mining on federal lands. Interior Secretary Ryan Zinke already signed an order earlier this year — while visiting Alaska — pledging to do just that. Balash said he'd be pleased to carry that out. Sen. John Barrasso, R-Wyo., said at the hearing that BLM "has nearly 3,000 pending applications and takes an average of 250 days to process an application." He charged Balash with making sure field offices had the resources needed "to relieve this incredible backlog of oil and gas permit applications." Balash said he was confident his experience as commissioner of the Alaska Department of Natural Resources would provide the necessary background to do so. The "BLM approach needs to reflect that these lands belong to the public, not necessarily to the agencies that manage them, and with that change in perspective or attitude, we can be timely, efficient and certain in the administration of permit applications and adjudications," Balash later told Sen. Jeff Flake, R-Ariz.
Sen. Angus King, I-Maine, suggested claims Balash filed when working for the state government with regard to the Arctic National Wildlife Refuge may provide the appearance of impropriety when it comes to decision-making about the area. Balash noted the paperwork was regarding U.S. Fish and Wildlife Service work — another agency — but said he would discuss the issue with Interior's ethics attorneys. After the hearing, Balash noted that ultimately, opening ANWR would ultimately rest with Congress. In the long run, he said, is goal is to improve the relationship between Alaska and the federal agencies there. Murkowski urged Balash to keep the needs of Alaska Native people in mind when making his decisions, and the need for alternative, renewable energy sources in Alaska. 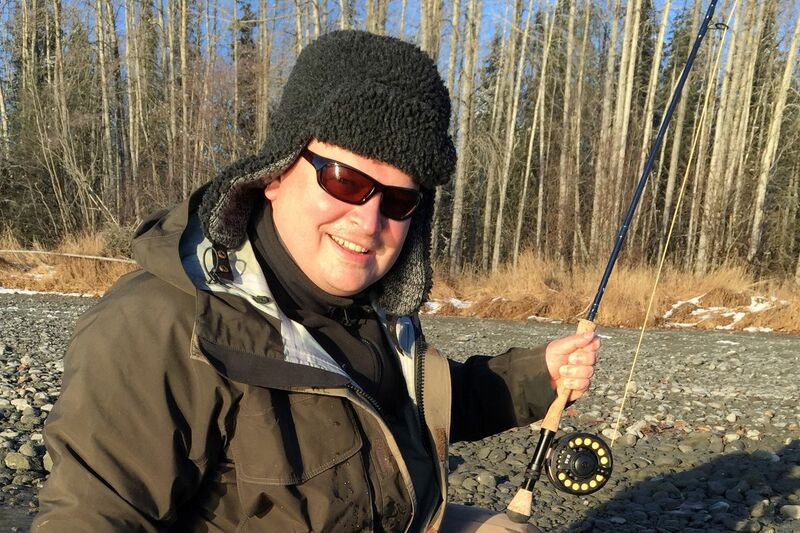 In his testimony, Balash spoke of moving to Alaska in the 1980s — his father was stationed at Eielson Air Force Base near Fairbanks — and the impact of learning about the state's coexisting salmon and oil resources. "I realized that with the right approach, you can have responsible development without sacrificing clean air and water," he said. When Balash led DNR, he said he helped set new standards for transferring oil and gas properties, and "oversaw the placement of the first offshore platform in state waters in nearly 20 years," opened a new state park and helped hunters and anglers access public land "while respecting private property," he said. Balash said he sees Interior's goal as managing national assets in a way that provides "opportunities to recreate, appreciate and generate wealth." "If confirmed, I will work relentlessly to produce the value American people deserve from their public lands. This includes recreational access, responsible energy development, and active management of the Department's assets," Balash said. Not all Alaskans are pleased with that suggestion. Kristen Miller, current head of the Alaska Wilderness League, questioned Balash's interest in drilling in ANWR and the National Petroleum Reserve-Alaska. "There's no doubt that, if confirmed, he will be advocating alongside a growing list of this administration's political appointees who seem dead set on drilling in the Arctic Refuge," Miller said.